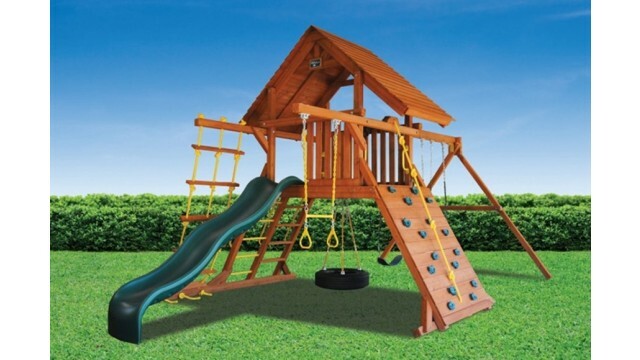 NOW ONLY $2449 OR $2749 WITH WOOD ROOF AFTER LIMITED INSTANT REBATE! 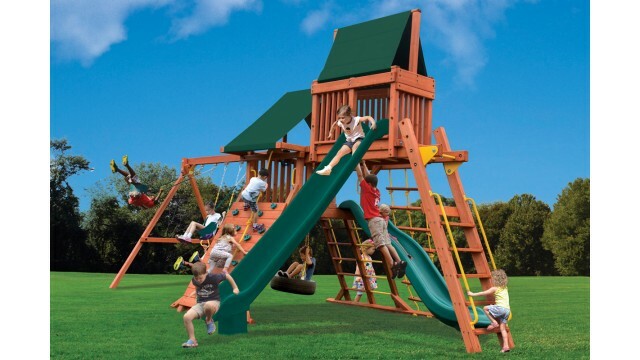 LOCAL INSTALLATION ONLY $299! 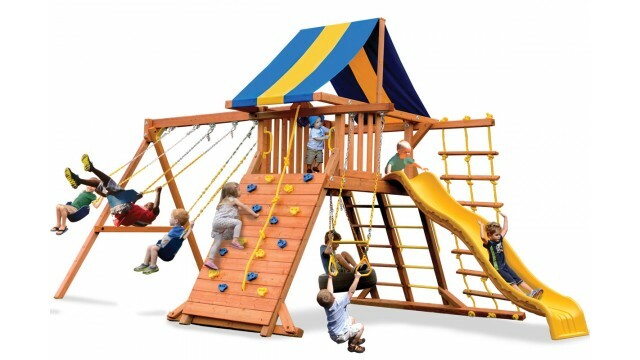 The Original Playcenter is the definition of a complete activity center. 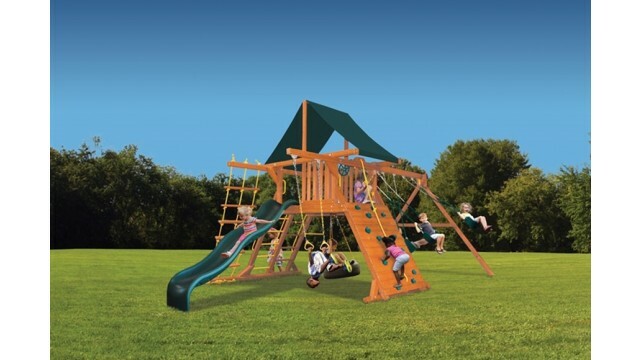 This swing set has it all! 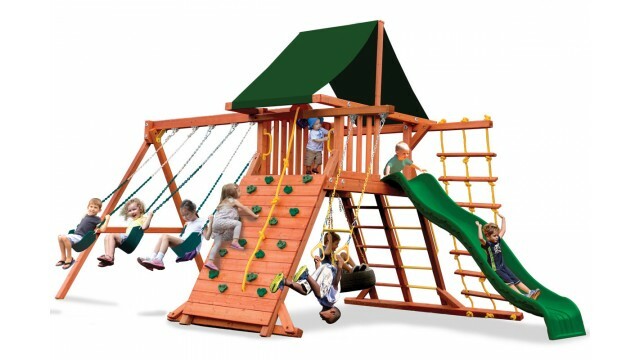 From the rockwall to the step/rung entry ladder to the 360° tire swing your children will be entertained for hours. 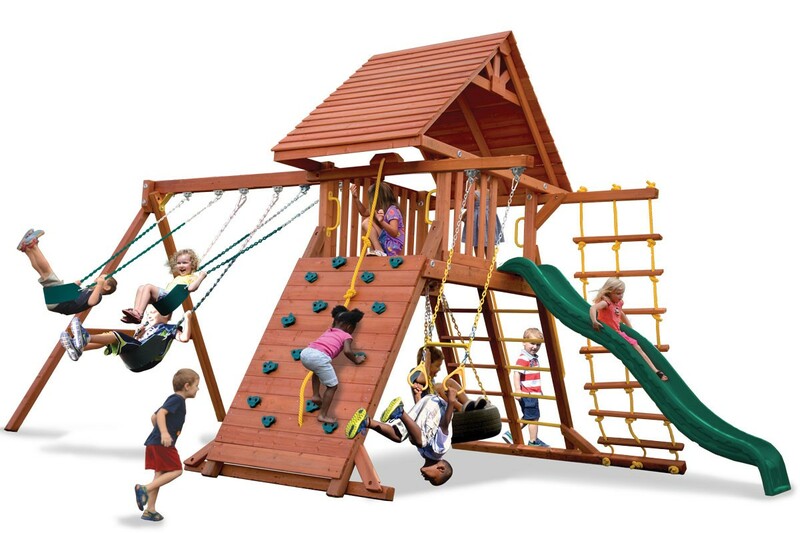 Made from super sturdy cedar construction the Original Playcenter is the perfect choice for the value minded family who demands the best! 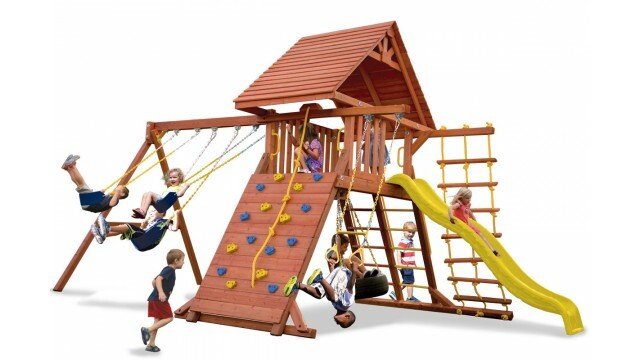 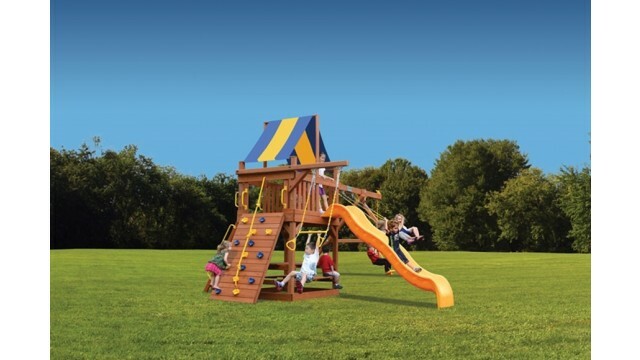 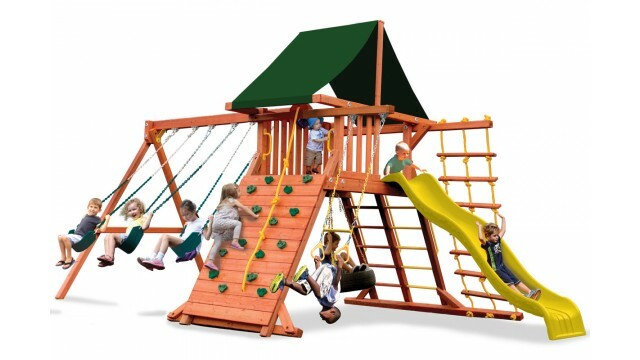 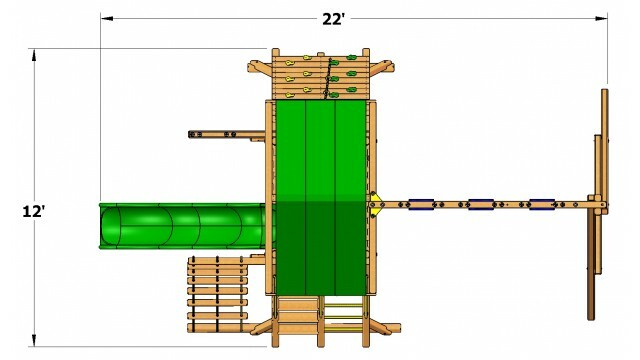 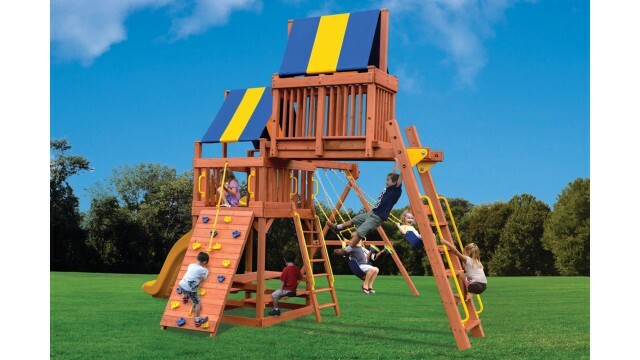 Includes: Heavy duty canopy roof, 10′ wave slide, rockwall with climbing rope, rope ladder, step/rung ladder with handrails, swing beam with 3 belt swings, accessory arm with trapeze bar, 360° tire swing, ships wheel and safety handles.